contenders’ restaurants or print your own. 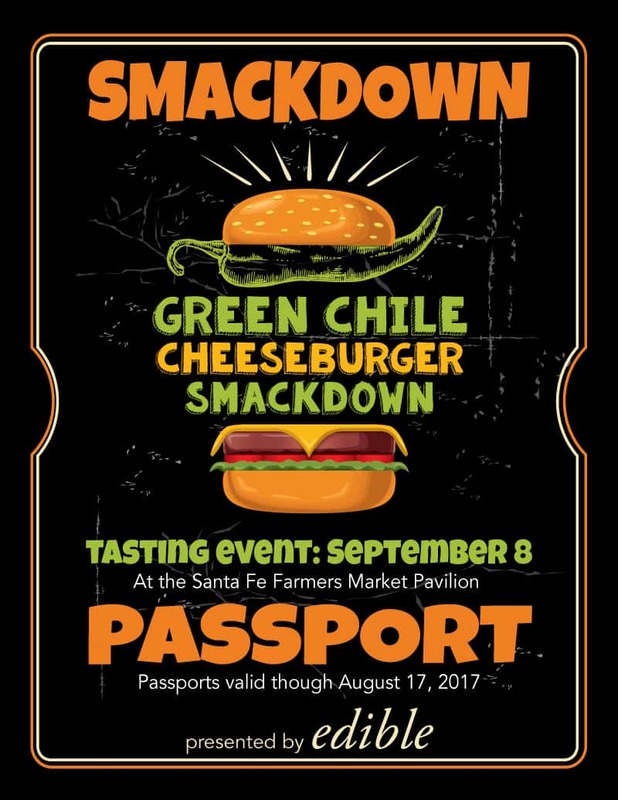 Find some pants with an elastic waistband because edible is proud to launch the Green Chile Cheeseburger Smackdown Passport. 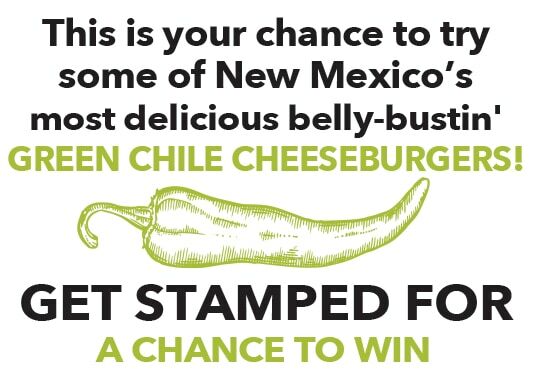 From August 1 – 17 is a chance for locals and visitors alike to sample some of the best green chile cheeseburgers New Mexico has to offer. We’ll give big love to burgers in every part of the state from Roswell to Santa Fe and everywhere in between. Grass-fed, Kobe beef, pork belly, and everything in between, this is a meaty celebration you won’t want to miss. This is your chance to try some of New Mexico’s most delicious belly-bustin’ burgers at a price that won’t bust your budget. 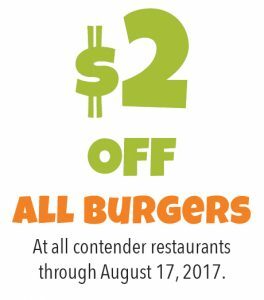 A $2 off discount applies at all of the contenders’ restaurants. 1) Starting August 1, pick up one of our Smackdown Passports at participating restaurants, in the Late Summer issue of edible Santa Fe, or DOWNLOAD HERE. 2) Vote for your favorite green chile cheeseburger online. 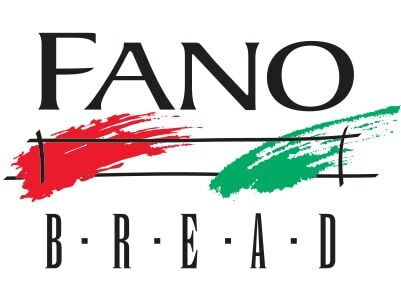 3) Get your passport stamped at three or more participating restaurants. *If you can’t attend the Smackdown on September 8, you can mail your passports to us. Must be postmarked by August 30. Include your name, phone number, and email address with your passport. Share your pictures with us: share your photos on Instagram at @ediblesantafe and Twitter at @ediblesantafe and use #ediblesmackdown.